The plantar fascia is a web-like ligament in your leg that connects the front portion of your foot with your heel. It is also the main instrument that helps you walk as it is the one that supports the arch of your foot. And plantar fasciitis is a problem where you sense immense pain in the bottom of your heel if this ligament gets damaged or affected. 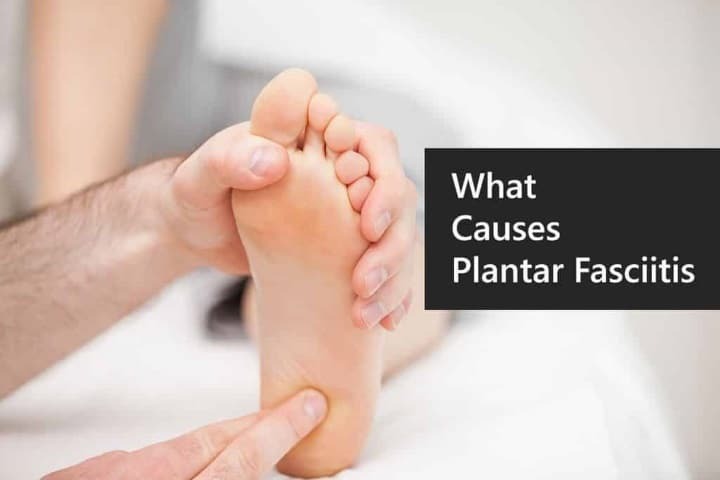 In this article, we’ll be looking at what causes Plantar Fasciitis to flare up and how to decrease the severity of this complaint. One of the most common orthopedic issues or complaints that doctors face is the plantar fasciitis complaint. This ligament is mainly responsible for you to able to walk and thus encounters a lot of wear and tear during your daily activities in your day to day life. These ligaments are somewhat like shock absorbers that prevent any shock to your foot and heal, but increased pressure or any damage can lead to the tearing of these ligaments. And the more the ligament is damaged the more the pain and the suffering. The most common symptom of this complaint is the acute pain in the bottom of your heal. Some even complained about having pain in the bottom of their mid-foot section. Once the ligament gets damaged, it can develop gradually from a dull pain to an acute pain that can become unbearable sometimes. Even though it is considered that this type of complaint affects only a single foot, but there are several possibilities that it can affect both the feet as well. Most of the people affected by this complaint feel that they may feel some acute pain while they wake up in the morning or while taking their first steps from the bed. Some may even feel the pain after a sitting down for a long time without any activity to your legs. When you have this type of complaint, it could be a certainly a difficult task in climbing the stairs as well. 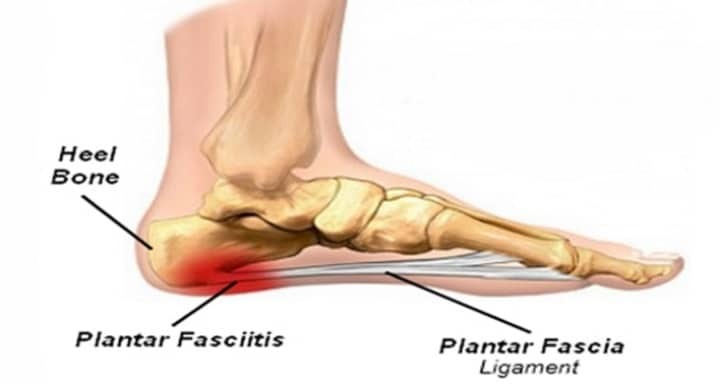 One of the major reasons for getting affected with plantar fasciitis is due to the fact of giving prolonged pressure on the plantar fascia ligament. Even though they are purposefully made to withstand all kinds of pressure and support the arch of your foot, if you are overweight, then a prolonged pressure due to the weight of your body is forced down on to these ligaments only. This increases the chances of developing plantar fasciitis. Even pregnant women also may feel shades of plantar fasciitis during their late pregnancy period as they may gain some weight during their pregnancy period. If you are an athlete or a long distance runner, then there is a heavy chance of your getting affected with plantar fasciitis. People who are involved with work that uses their feet too often like working in a factory or standing for a long time like in a restaurant etc. are also likely to be affected by this complaint. Men and women in the ages from 40 to 70 are highly at risk of getting affected with plantar fasciitis. Some reports also suggest that the plantar fasciitis is mostly seen in women than men. Even people having structural feet issues like having high arched feet or people with flat feet are also susceptible to getting affected with plantar fasciitis. People who are in the habit of wearing shoes with poor arch support or shoes with soft soles for a long time may also get affected by this kind of complaint. Poor shoe selection is also considered to be a major aspect of getting affected with plantar fasciitis. Poor shoe selection can be attributed to either selecting a shoe that is pretty much tight on the toe box or a shoe that lacks the necessary arch support. If you are an athlete or a long distance runner, it is better to check for shoes that support your arch for a long time or else you will be in danger of catching up with plantar fasciitis. A shoe with a tight toe box is one of the main reasons for plantar fasciitis as it cramps your toes when they need to be free and spread out while running. This cramping of the toes can lead to less circulation of blood in your toes and in turn, may affect your heels. People having wider feet should choose that are wide that doesn’t cramp your toes. If you have a habit of running every morning as an exercise or as a practice for your long distance running competition, you definitely need to concentrate on your feet. And if you are already having plantar fasciitis, then it is not a good idea of running every day. Generally, your body requires a couple of days to recover from any kind of minor injuries and hence it is good to give your heels some rest and time to heal before you start running again. How to Avoid Plantar Fasciitis Flare Ups? When you are starting a new workout routine, proper care must be taken that you don’t move to a complete whole routine immediately. It needs to be mixed up with daily exercises and gradually need to move to a new routine. Because your body and feet may need time to adjust to the new regimen and hence it is important to consult the experts on the right procedure on embarking on a new routine. If not done properly then you may be putting increased pressure on your heels. If you think your shoes are not providing adequate support or when you feel uncomfortable with your shoes, then it is time to go for proper shoes that provide adequate arch support. Go for shoes that come with flexible sole and sufficient padding that can provide some cushion and support to your heels while you walk or run. This helps in removing the pressure or shocks that is caused when your foot hits the ground. It is extremely important for people having plantar fasciitis or people looking to avoid from getting affected with plantar fasciitis should go for shoes with proper arch support and comfortable padding and inserts. Accidental injuries to your foot may also cause plantar fasciitis to flare up, especially when you ligament is damaged already. The moment you sustain an injury in your foot through improper landing or falling down, immediately you need to treat the affected portion with ice and elevation. It is also recommended to get the advice and treatment of some foot specialist to alleviate the danger of plantar fasciitis flare ups. Plantar fasciitis may take a long time to heel and it can be largely frustrating when it flares up and causes extreme pain in the bottom of your feet. Hence it is important to take all the preventive measures to keep it to the minimal at all times. Hope the above article would have provided you answers for all your questions regarding what causes plantar fasciitis to flare up. As always, please post your queries and suggestions in the comments section below and we’ll be happy be revert back as soon as possible.